As we approach yet another title run-in, United fans, more than any other followers, know what to expect. It is the time of year when every game assumes colossal importance. When each goal is cheered that bit more fervently; when opposition attacks induce nail-gnawing desperation; the sight of the fourth official's stoppage time board draws roars of exasperation or cries of encouragement depending on the scoreline. Serenity becomes an almost mythical, unattainable state. Squeaky bum time, Sir Alex calls it and it is no wonder given United's unshakable habit of leaving it to the last possible second to score. Ryan Giggs' winning goal at Norwich was a perfect example. There are plenty more of them too. So with such vital games coming up, we decided to have a look at the men charged with firing the reds title challenge; the ones trusted to grab the potentially title winning goals; United's strikers. The table below shows each of our main strikers and examines their performance in several ways. Firstly we showed each player's goal return and the number of shots each had fired so far this season. Then we analysed their number of minutes played and the number of shots it took for each to score. Finally, with the title run-in in mind we wanted to see who had scored the most vital goals; ie. how many times each player had broken the deadlock or turned a defeat in a draw or a draw into a victory. The points gained column shows the result. There are a few ways to interpret the data above but no matter which you look at it, Wayne Rooney has been the most effective attacker over all. His 17 goals have come at a rate of 1 every 112 minutes. He is by far and away the best at getting into shooting positions - averaging a shot every 18 minutes or so; this in spite of his deeper role (even playing 2 games in midfield). His average of over 6 shots per goal reflects his taste for long range shooting and an occasional penchant audacious efforts. Danny Welbeck is second to Rooney in terms of minutes on the pitch but his stats are far less impressive. Of all the main strikers (Owen excluded due to his injuries) Welback has the poorest minutes to goals ratio with goal every 210 minutes. It also takes him 7.5 shots to score - suggesting poor finishing - and he he manages far fewer shots than Rooney, just one every 28 minutes. But there are excuses for the young Mancunian. He has tended to play the big games, against the toughest opposition - which has the effect of restricting scoring chances - allied with the fact that he has often foraged alone up front working tirelessly for the team at the expense of goal poaching. Chicharito has endured a stop/start campaign due to injuries, meaning that he has only managed 8 league goals so far this term. Even so, almost all of them have been vital goals. He struck winners against Everton and Swansea as well as late equalisers against Liverpool and Chelsea. He also opened the scoring on no less than five occasions. In terms of his stats we see that his finishing is top quality, a goal every 3.75 shots. Of the three strikers to have competed 1,000 minutes or more, he has the best record in this regard. His minutes per shot ratio, which is the poorest compared with Welbeck and Rooney, is probably down to the fact that he likes to get in behind defenders instead of shooting from distance. Finally, Dimitar Berabatov. The Bulgarian is miles ahead in terms of minutes per goal and shots per goal but much of this is down to his hat-trick against Wigan and his 2 against Blackburn. He has rarely faced top sides this season and overall has only managed 582 minutes. Not that this is his fault it must be said. He has always been ready and willing to come on and has contributed nicely at times. While all strikers will inevitably be judged on one particular stat - goals - it is worth remembering that there are other ways that a front man can contribute. Danny Welbeck has played a key part in many of the big games this season and not all of his contribution can be measured in goals. Wayne Rooney, as well as having an impressive goal return, plays a huge part in the build up play too; likewise Berbatov, while Chicharito's wonderful movement allows him to find goal-scoring positions and also creates space for others. All four front men have fine characteristics and many distinctions. But with the business end of the season approaching who will play the biggest role? Of course Wayne Rooney will be vital he is not just United's best attacker but our best player full stop. We did not need a statistical analysis to tell us that much. But beyond Rooney, how will the others contributes? In the big matches, Welbeck's work-rate is bound to be key. If fit, he will probably play in the two biggest remaining games, Spurs and Man City away. His running in the channels and closing down will be important parts of the game plan. In the less challenging games, particularly at home, we expect to see Berbatov do his best work. Not least because these are the only games in which Fergie is likely to select him. A goal or two and some audacious touches should help put a modicum of shine the Bulgarian's season; a frustrating one overall. And what then of Chicharito? Judging by the season so far - not to mention last term - Chicharito is likely to be the one that makes the proportionately largest impact. Always one to knock in a vital goal late in a tight game, we reckon it will be the 'little pea's' run-in. 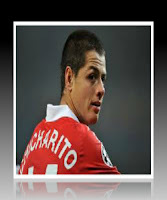 His goals have already gained an extra 7 points for United this season and few would bet against the live-wire Mexican adding to the tally. If he does not, the 7 points he has already bagged may prove vital anyway. But it is a decent bet that the young Mexican will have a big say in the remainder of the season; even if only from the bench.